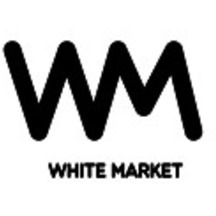 White Market WM is a film production structure based on new forms of creation. This structure, created by Jonas Luyckx (founder of La Film Fabrique) and Gaetan Saint-Remy (co-founder of Sep Stigo Films), focuses on setting up alternative means of production and on collaborative networks. As great dreamers, we wish to take the less-trodden path, the one that others haven’t taken because it is unpaved. Therefore, we put on our orange boots to venture past the poplars and make films an art of transmission and dialogue. WM is developing two interrelated areas: authors’ documentary and experimental films and transmission projects (that others call lifelong education projects). Founded in 2012, White Market already has several large-scale projects to their credit: Documentaries - After Us, Only the Burnt Earth (Après nous ne restera que la terre brûlée) / Documentary film about a village near Chernobyl that investigates ideas of “zone”, ownership and the legitimacy of living on one’s native land. – Post-production in progress. - Don’t Worry, All Will Be Well (Ne vous inquiétez pas tout ira bien) / Documentary film about the transmission of knowledge directed by a father and his son. – Production in progress. - General Congo / Experimental documentary film – Notebook of moments in the heart of Kinshasa - Post-production in progress. - Measure of Our Days (Mesure de nos jours) / Experimental documentary film based on the writings of Charlotte Delbo, survivor of the Auschwitz-Birkenau concentration camps, who will celebrate her 100th birthday in 2013. – Post-production in progress. - Morphosis / Documentary film about the search for equilibrium. A dialogue spread over a thirteen-year period between two children and the world that moves around them. – Production in progress. Transmission Projects - Breakwaters (Les Brise-Lames) / Creation of background sound from young people speaking. Creative exchanges between various schools on different continents. – First exchange of dialogues in 2013 between the Léonie de Waha High School in Liège, Belgium and Monseigneur Parent High School in Montreal, Quebec.